We use soap to feel refreshed, rejuvenated and for beautiful skin. Nisargalaya Milk Beauty Soap is the right choice as it is made from pure narikela milk oil and other useful ingredients. 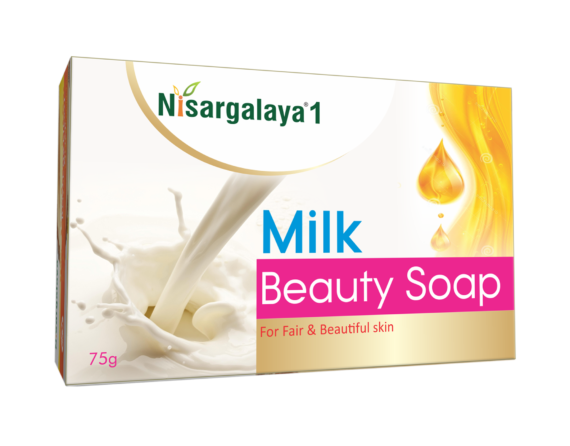 Nisargalaya Milk Beauty Soap imparts a whitening effect to the skin, leaves a gentle glow on your face and helps to even your skin tone upon regular usage. The health benefits of coconut oil in the soap for skin are amazing; the oil possesses antimicrobial, antifungal, antibacterial, and antioxidant properties. The lauric, capric and caprylic acids within the oil are credited with many of these benefits. 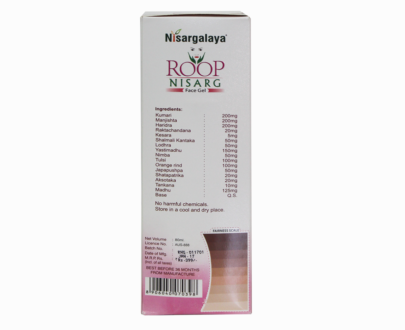 Our Nisargalaya Milk Beauty Herbal Soap made with Coconut milk oil, which is good for skin whitening as this has the minerals and several acids that helps to get rid of the dark skin color. 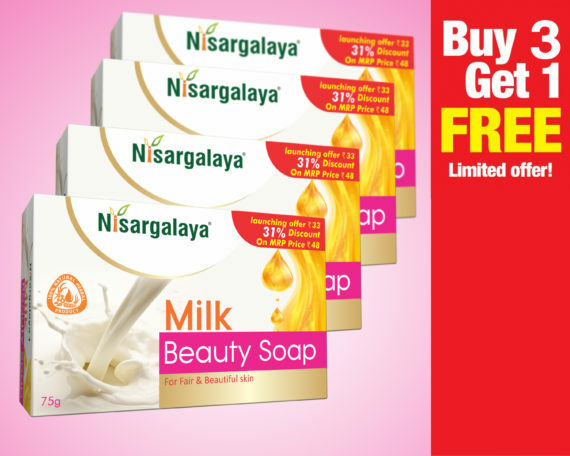 Cleanses the Skin: The best thing about Nisargalaya Milk Beauty Soap is that it actually cleanses the skin from inside without causing excessive dryness. Being rich in pure coconut milk, coconut milk soaps contain lots of fatty acids. The soap is formulated to deep cleanse the skin by removing all sorts of impurities (dirt, dust, dead cells, etc.) and that too while maintaining skin’s natural hydration. In short, it acts as a gentle, yet effective facial cleanser. 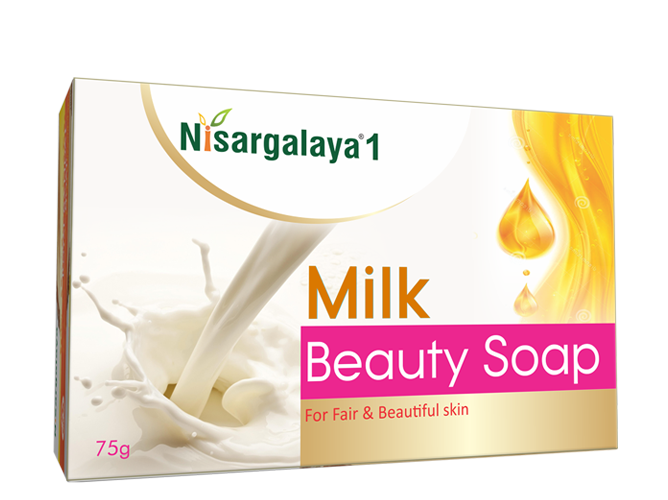 Moisturizes: The huge amount of nutrients, as well as fatty acids present in Nisargalaya Milk Beauty Soap, offer intense hydration to dry, dull and lifeless skin. 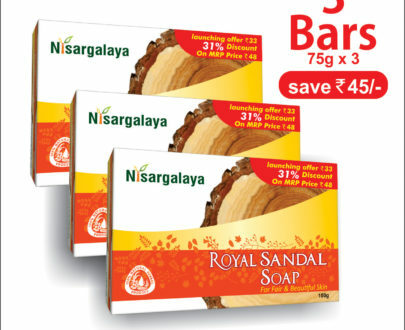 Unlike other soaps, Nisargalaya Milk Beauty Soap does not dry out the skin while cleansing it. Rather, coconut milk’s (which is present in it) super-moisturizing properties help in restoring the lost moisture of the skin by rejuvenating the cells thoroughly. 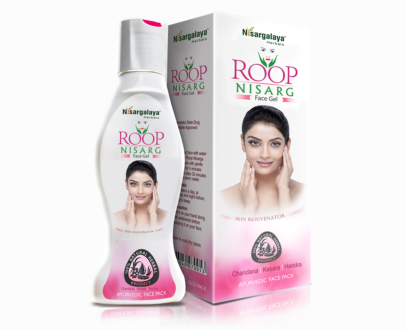 As a result, you get the soft, supple and smooth skin. 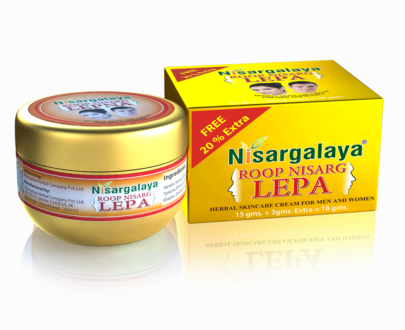 Keeps premature Aging at Bay: Regular use of Nisargalaya Milk Beauty Soap can delay premature aging significantly. It has been found that coconut milk is enriched with powerful antioxidants including Vitamin C and Vitamin E, which lower the number of harmful free radicals in our body and prevent oxidative damages caused by them. 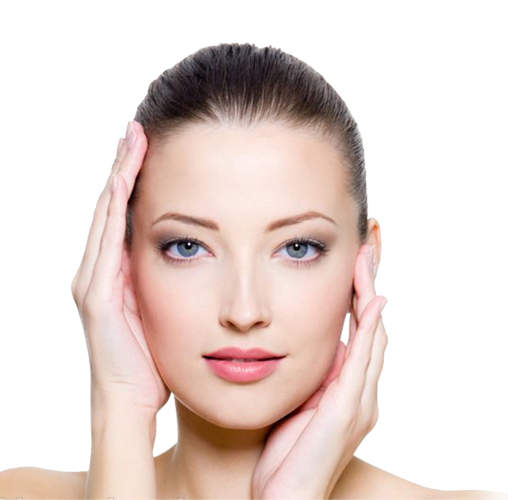 It is also full of essential micronutrients like selenium, iron, copper, zinc, and so on, which take care of the health and nourishment of the skin. Regular use of this soap also helps to prevent wrinkles fine lines, sun damages, age spots and sagging skin. 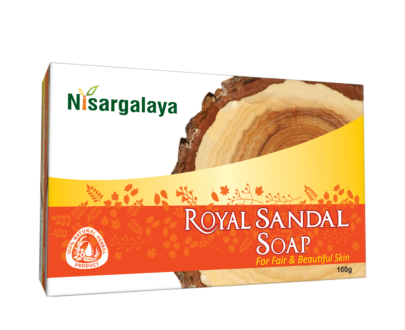 Treats Acne: Nisargalaya Milk Beauty Soap is effective in deep cleansing the skin, which makes them a great acne treatment option. Apart from it, coconut milk is packed with fatty acids like lauric acid, caprylic acid, capric acid, etc., which, being efficient anti-microbial agents, can reduce existing acne and prevent further breakouts to a great extent. Moreover, some of these fatty acids can work as antioxidants that put a stop to free radical damages and eliminate blemishes faster. 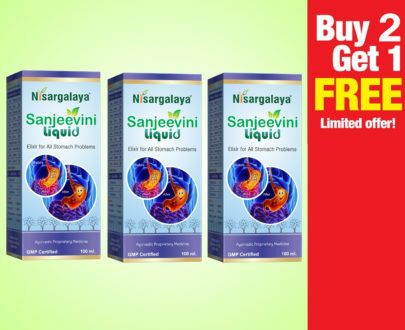 Treats Skin Infections: Nisargalaya Milk Beauty Soap can create a ‘chemical barrier’ on the surface layer of the skin with regular application. Its regular use will also keep a number of minor to major skin infections like eczema, psoriasis, contact dermatitis, etc. The regular use of Nisargalaya Milk Beauty Soap promotes the overall health of the skin. From inducing enough moisture to averting the microbial attack, it can aid in beauty in a number of ways. 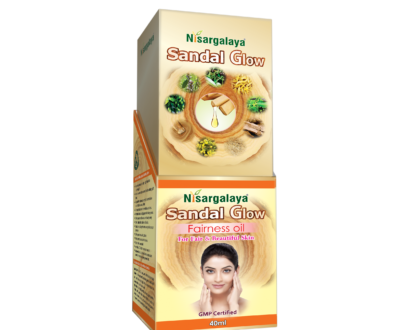 As a result, we get healthy-looking complexion and tresses in a natural way.